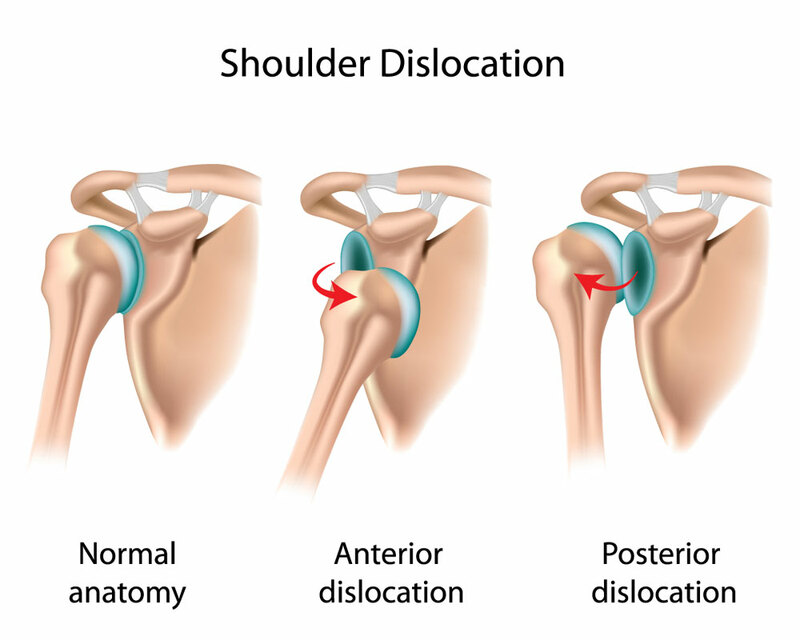 As the most mobile joint in the human body, the shoulder can become restricted when a dislocation occurs. During a dislocated shoulder, the ball and socket within the shoulder become separated. This leads to the ability of the shoulder to dislocate backward, forward and downward, even multidirectional in some patients. Once a shoulder becomes dislocated, it is more likely to dislocate again. Shoulder instability is a condition that occurs when the muscles, tendons, bones and ligaments that surround the shoulder do not work properly to secure the ball and socket joint. Dr. Brian Waterman, shoulder specialist, is well trained in treating patients with this shoulder injury. A dislocated shoulder is a common injury, especially in athletes. Athletes involved in contact sports such as football, basketball and hockey are at an elevated risk of this shoulder injury. Baseball, tennis and volleyball players also have an enhanced risk of this injury because of the continuous, overhead movements. Shoulder dislocation can occur as a result of a traumatic blow to the shoulder from a fall or accident as well. Patients who have dislocated their shoulder in the past often have weaker shoulder ligaments leading to chronic shoulder instability and ongoing dislocations. Young, active adults who suffer a dislocation caused by trauma run the highest risk of future dislocations, with older, less active patients at a decreased risk. If a patient suspects a shoulder dislocation, prompt medical care should be sought. Emergent care is focused on returning the shoulder to its normal position, known as reduction. In some cases, the shoulder will reduce itself after a dislocation. In the remaining cases, the shoulder will need to be manually reduced by a physician by manipulating the dislocation and placing the ball back into the socket. If the shoulder is dislocated and does not go back on its own, you should seek emergency treatment at the nearest medical facility. Once the dislocated shoulder is reduced, Dr. Waterman will assess the injury, examine the shoulder thoroughly and obtain an X-ray or other diagnostic tests. Specific tests used to determine the extent of shoulder instability are the posterior load and jerk test, sulcus sign and apprehension and relocation test. In addition, an MRI scan can help define the extent of the damage. The decision for non-surgical or surgical treatment depends on the overall severity of the shoulder injury, previous dislocations, patient activity level and patient age. Dr. Waterman may use a combination of ice, rest, immobilization in a sling or other devise and physical therapy for a few weeks following the injury. Physical therapy is often recommended to help strengthen the shoulder joint. Athletes benefit the most from physical therapy in many cases. If non-surgical treatment options do not prove to be beneficial and dislocation of the shoulder becomes recurrent, Dr. Waterman may recommend shoulder surgery to secure and repair the ligaments and surrounding labrum. Arthroscopic surgery is recommended by Dr. Waterman in many cases. This procedure is highly effective in alleviating shoulder instability and returning patients to their activities.